All that said, the show’s audience has collapsed. Here are the Nielsen ratings — from the resource SpoilerTV — for all “Glee” episodes. “Glee” was regularly pulling upwards of 10 million viewers in its first two seasons. 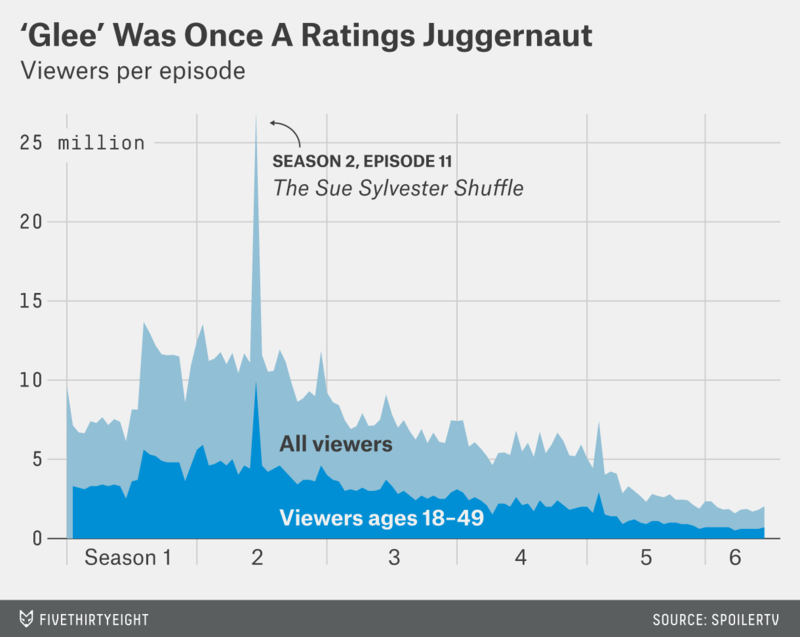 (That massive spike you see early on is episode 11 of season two, “The Sue Sylvester Shuffle,” which benefited from having the Super Bowl as a lead-in.) But the past several episodes have been pulling only around 2 million viewers each.